Construction Contract Lawyers Schlueter, Mahoney & Ross P.C. In Denver, Colorado, construction contracts serve a simple purpose. They outline exactly what work is to be performed on an existing structure, or what work is to be performed on an empty plot of land. 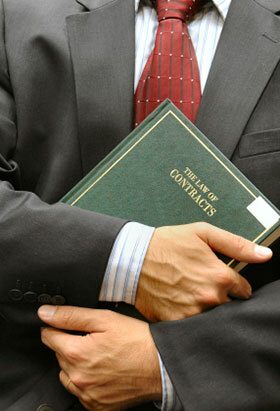 The contract defines the exact scope of the work, ensuring that both parties are in agreement about what is to be done. When drafted properly, construction contracts ensure that the client and the builder enjoy a smooth working relationship. Poorly drafted Denver, Colorado construction contracts are one of the most common factors leading to construction litigation. Professional builders, architects, and engineers at every level want to ensure that communication with clients is as clear as possible. In many cases, that means retaining a strong legal professional to draft the residential construction contract. Our Denver, CO attorneys are qualified to do just that. An expert will be able to draft and negotiate the document, and will be aware of the most common problems that lead to disagreements and future tensions. The construction lawyers at Schlueter, Mahoney & Ross, P.C. have experience drafting and negotiating construction contracts of every scope in Denver, Colorado. From single home contracts to developments and commercial buildings, we understand the law involved and can create a contract that will address any disagreements and reduce the chance of future problems. We can work with the client’s legal team as needed to determine details, and we always stand behind our Denver, Colorado construction contracts should they ever be needed as a reference in court. When you select the construction attorneys at Schlueter, Mahoney & Ross, P.C. for Denver, Colorado residential construction contract negotiation, you can feel confident that your interests are being protected in a tightly drafted document.